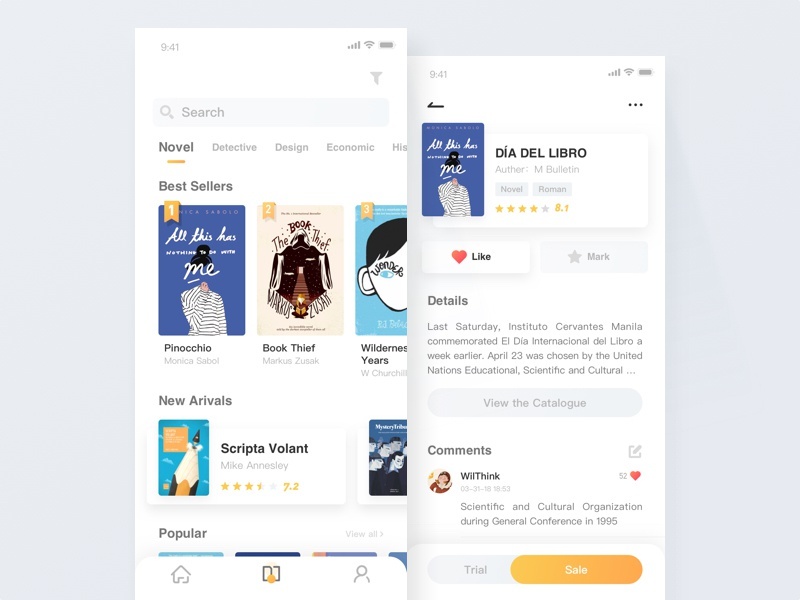 The third page of Book App. Here are bookshelf and details. Wish U like it!! !